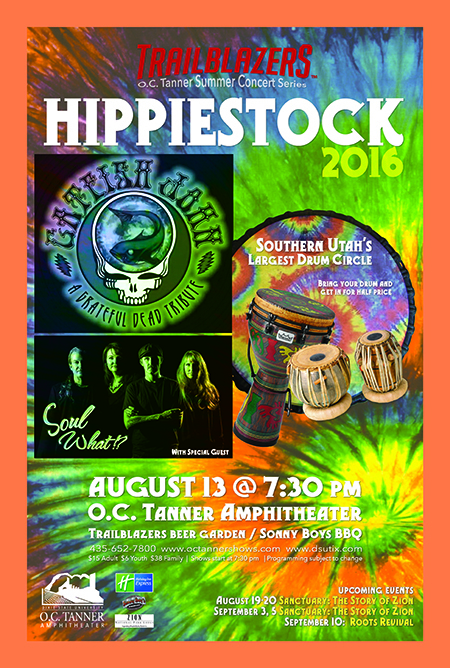 Don't miss Hippiestock in the beautiful setting at O.C. Tanner Amphitheater! 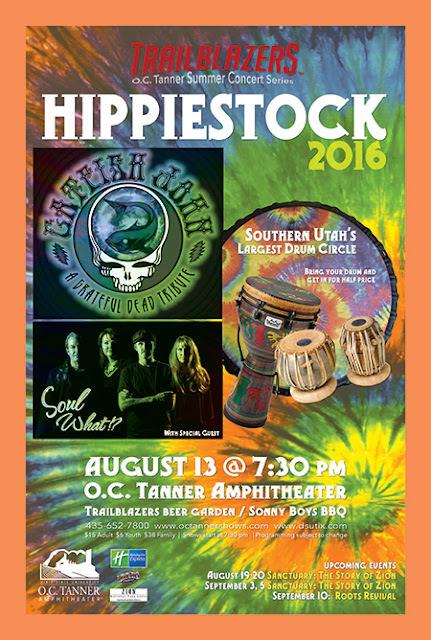 Enjoy great music in the red rocks! I have been to a concert in this venue and it is beautiful and the perfect setting! I recommend going early and spend some time eating at one of the unique, tasty restaurants in Springdale and browsing the shops! You can purchase your tickets in advance online.